When Lu’s mother came to New Jersey to meet my family, I threw a dinner party. I wasn’t nervous about their meeting, but I was nervous about what to cook! I wanted to serve something that really reflected me, my Italian-American background, and my healthy kitchen skills. 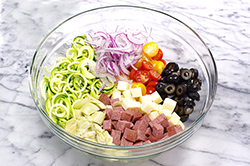 I decided on this classic pasta salad – just without the pasta. My sister’s boyfriend, who typically doesn’t like zucchini or anything else labeled “good for you,” practically licked his plate clean. 1. Prepare the salad. 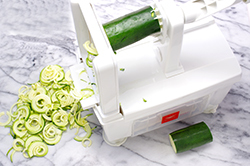 Slice the zucchini halfway through and then spiralize using blade B (narrow, flat noodles). 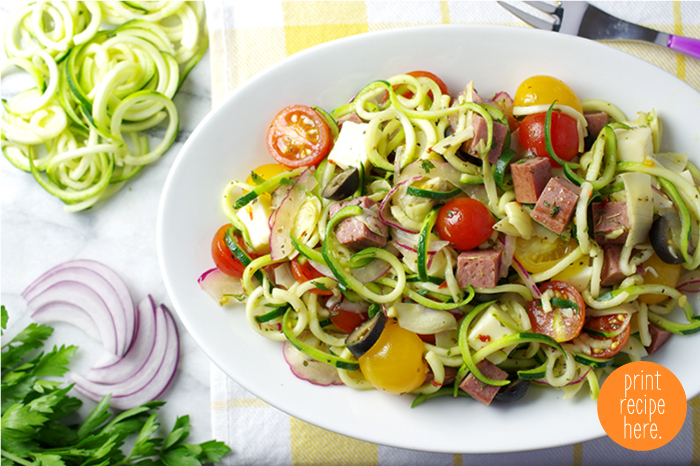 In a large bowl, combine the zucchini noodles with the artichoke hearts, tomatoes, provolone, salami, red onion, and black olives. 2. Make the dressing. 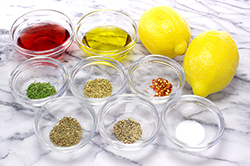 Whisk the ingredients in a small bowl. 3. 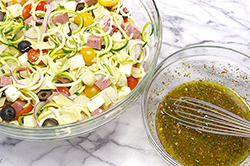 Pour the dressing over the pasta salad and toss to combine. Refrigerate for at least 15 minutes, until the dressing begins to soften the zucchini. Serve chilled. 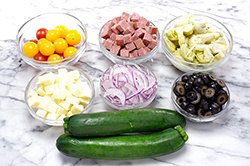 Tip: The longer this pasta salad marinates in the refrigerator, the deeper the flavors get and the softer the zucchini becomes. If possible, let it sit overnight. Shake it up just before serving. Nutritional Information: Serving Size: 2 heaping cups. Calories: 214, Fat: 16 g, Carbohydrates: 10 g, Sodium: 416 mg, Protein 8 g, Sugar: 3 g.
Reprinted with permission from Inspiralized, Turn Vegetables into Healthy, Creative, Satisfying Meals by Ali Maffucci. Copyright 2015. Published by Clarkson Potter/Publishers, New York, NY. All rights reserved.